Ticos, as Costa Ricans are commonly known, are famous for being hospitable. They are a polite, well-educated and gregarious people, who are quick with a handshake and a smile. Some consider Costa Rica a "classless democracy." There is considerable social mobility, and no race problem on the scale of the United States. buildings. The indigenous influence is less apparent, but can be found in everything from the tortillas that are served with a typical Costa Rican meal to the handmade ceramics sold at roadside stands. 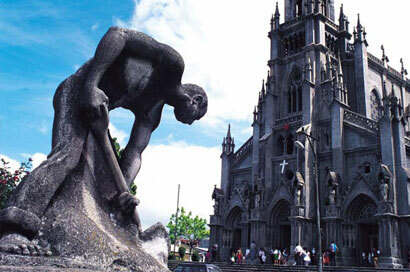 An important aspect of Costa Rica’s cultural heritage is the love of peace and democracy. Ticos like to point out that their nation is the exception in Latin America, where military dictatorships long dominated politics. Costa Rica can boast of having more than one hundred years of democratic tradition, and almost half a century without an army. The army was abolished in 1948, and the money the country saves by not having a military is invested in improving the standard of living for Costa Ricans, which has fostered the social harmony that makes it such a pleasant country to visit.